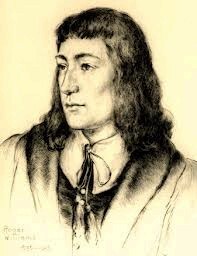 Rhode Island was founded by Roger Williams in 1636. It became a state on May 29, 1790. Many people that had no homes because of their religious practice. 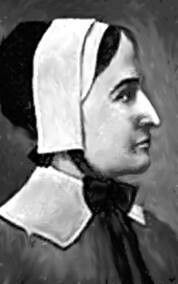 Roger Williams wanted to change that and give them a place to practice religion freely. Rhode Island was the first colony to offer religious freedom. This is probably why it was so popular. Many people who were banished from other colonies for not wanting to practice their religion came to Rhode Island looking for new hope and a new life of freedom. 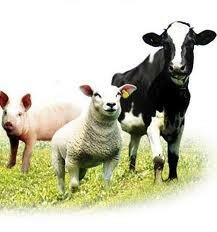 Many colonists raised livestock, sold dairy, and or farmed. Some produced lumber and sold it. 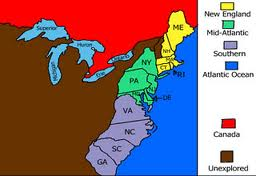 Rhode Island was also a New England colony along with Connecticut, Massechusetts, and New Hapshire. 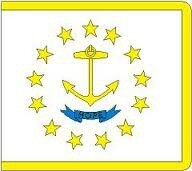 The flag of Rhode Island was designed by the colonists who fled Massechusetts for religious purposes. 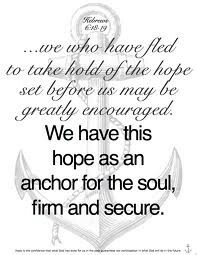 "Hope we have as an anchor of the soul," found in Hebrews, Verse 6:18-19 was the inspiration for the flag. The anchor gave them hope, and so did the verse. Rhode Island is located in the New England Colonies. It is very small but also very important. It measures up to 48 miles ling and 37 miles wide. It was the smallest colony and is still the smallest state. Roger Williams was banished from Massechusetts like so many others, because he did not practice the same religion as the government or rulers of the colony. In 1638, after she had been banned from Massechusetts like so many others, she brought many outcast colonists to Rhode Island. She didn't stay after the first time, she helped many more people get to Rhode Island.